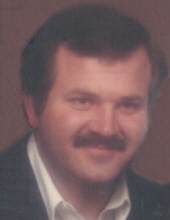 John L. “Tuffy” Nye, 67, of Kansas, Ohio, passed away at 3:05 am Monday December 3, 2018 at his home. He was born September 8, 1951 in Fremont to the late John Franklin and Matilda (Hammer) Nye. He married Cheryl “Sherry” Hammer October 25, 1969 at St. Michael’s Catholic Church, Gibsonburg, and she survives in Kansas. Also surviving is a daughter, Yvonne Nye, Kansas; a son, Eric (Carrie) Nye, Kansas; granddaughter, Brooke (JR) Nye-Johnson; brother, Franklin (Joanne) Nye, Burgoon; and sister, Frances (Donald) Lucius, Kansas. Tuffy worked for Atlas and retired from Thyssen Krupp, Fostoria after 40 years of service. Farming was his passion. He also owned a small trucking company, Nye Farms Trucking and JDT Trucking. He had been a Kansas Volunteer Fireman. He loved the people and Kansas community and was determined to help improve the community. He also appreciated the hard working folks of New Riegel and spent many relaxing times in the community. He was a member of the New Riegel Moose, lifelong NRA member, longtime bowler with the Blue Eagles and an avid FFA member during high school which left a life impression. But most of all, he loved his family dearly. He was a good husband, father and grandfather and will be greatly missed. Visitation is Thursday December 6, 2018 from 4-7 pm at HOENING & SON FUNERAL HOME 133 W. Tiffin St., Fostoria. Mass of Christian Burial is 11 am Friday at All Saints Catholic Church, New Riegel with Fr. Tim Kummerer presiding. A luncheon will follow at the New Riegel Moose. Memorials are suggested to the Bettsville American Legion and the New Riegel Moose c/o the funeral home. The Nye family wishes to express a heartfelt thank you to Dr. Ranvir Rathore and Dr Navin Jain for their fine care. To send flowers or a remembrance gift to the family of John L. "Tuffy" Nye, please visit our Tribute Store. "Email Address" would like to share the life celebration of John L. "Tuffy" Nye. Click on the "link" to go to share a favorite memory or leave a condolence message for the family.